The story of Techno India’s EDGE 2016 in Kolkata! If you love playing games, Techno India, EDGE 2016 in Kolkata is an event you should never miss – V3nom. Our captain Ankit ‘V3nom ‘ Panth will try to describe what happens when you are a BRUTAL and you visit the city of joy. He begins, I have to say this was our 3rd year and these amazing people have yet again given us some beautiful memories and moments to cherish. We landed at about 10 am and reached our hotel around 10.40. The team of edge was well aware of our schedule. We got a call around 11.30 am telling us “Welcome to Kolkata Brutals. Your match is scheduled for 4 pm. You guys get some rest till then and we will be waiting to meet you in the evening”. We were a bit tired so we went to sleep. We got up at around 3.30 pm, freshened up and left the hotel at 3.45. We reached the gate at 3.55 pm and saw the team of edge waiting to receive us. They greeted us with big smiles and started escorting us towards the playing area. While we were walking we saw many heads being turned towards us with smiles on their faces. There was a walky in the hand of the guy escorting us and I kind of heard him say on the channel “Brutals are on the move, please clear the corridor” this was the moment when I got goosebumps all over me and felt proud to see this kind of respect, attention and love being showered on us. I had only seen this in movies but experiencing it was way too awesome. Who wouldn’t feel good when you get a vip treatment. As soon as we reached the corridor we were straight taken to the registration desk where we got ourselves registered. 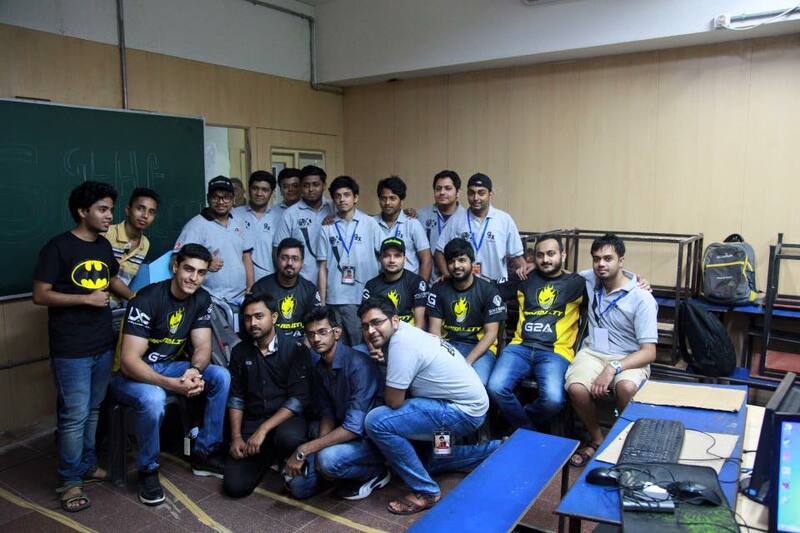 While we were doing this the team of edge were making arrangements for our match and getting chairs to the room where we were suppose to play. There was already a match going on when we reached so we were made to sit down on the chairs and asked if we needed any refreshments, whether the fan’s should be switched off or the ac vents direction should be changed towards us. It’s not that I am hearing all this for the first time. This was our third year here and every year these wonderful people show the same respect and humble nature towards the team. We were having a small chat amongst us but by then the news had already spread in the campus that we have reached the venue. We could see through the small windows in the lab that our fans and the crowd were eagerly waiting to meet us. An organizer then came to us and said that the crowd outside is blocking the passage and everyone wants to meet you. Are you guys free to do it now. I mean who would say no to meet these beautiful people because of whom we are here today and our obvious answer was yes definitely, please bring them in. The meet and greet then began and the organizers at the door started allowing people in groups of 5 to click pictures and meet us. There were camera flashes all around us and the selfie wave was at its peak. I still remember when we first came to Kolkata, I use to keep a count on how many fans came and clicked pictures with us. At that time there merely 20-30 people coming and talking to us and trying to know what we do but this time I think they all have atleast broken our own record of expectance. There were female and male fans clicking selfies, few getting their mousepads and posters signed, that experience was out of this world. It felt like we had achieved something in life and made our way to the hearts of atleast a few hundred people. But we won’t stop here, love is our energy source and we grow on it, so the more love we get the more successful we will be eventually. We know we owe these beautiful people something back in return for all the love and this special feeling which they give us each and every time we meet them. After meeting a few of our fans we started setting up for our match. We won our first game comfortably and were told that the organizers will give us a call 30 minutes before the match and the approximate time is 10.00 pm. They didn’t make us wait at the venue and waste our time, they had everything planned in a very professional manner. Let me tell you the guys organizing this event were of my age or maybe younger than me and had organised everything in a perfect manner. I would like to request the guys who want to host tournaments in a professional manner to learn from these kids. They have clearly proved that if you work hard and have a team of individuals who are ready to help you, any event can run smoothly. A few tips which could help are, be humble while talking, respect the teams who have come to play your event because we have come this far by working hard, schedule the matches and let the teams know the timings beforehand as there’s no point making them wait when you don’t have any arrangements to sit, give the teams atleast 15 minutes to setup and warmup, after their match let them know when the next match will be please don’t reply that wait 30 minutes here then we will let you know because when the teams come to you after 30 minutes you have another reason ready to make them wait at the venue itself and waste their time. We as gamers also should respect the organizers, their decisions and give them a free hand when there are technical issues because those cannot be predicted. If we as gamers and organizers join hands and start respecting each other and value one and others time I think we can make this industry a better and happy place for both of us. We should not forget nor the players or the organizers are bigger than the game, we all love Esports and we are here to help it grow. We came back at 10 pm to play our next round. We had again fans waiting to watch our matches and we also saw some new faces waiting to get their things signed. After we finished we started the signing session and trust me I wouldn’t have signed these many cheques in my entire life than I have signed posters, mousepads, tshirts etc this time. It makes me feel good and happy but at the same time I never forget one thing that my mom taught me, she always said you are following your dream and while doing that you will face many hurdles. Success will eventually come to you if you do the hard work but never in your life you should forgot the ones who helped you get there. Not everyone in his life is able to be loved so much by so many people at the same time but if you have managed to reach the hearts of a few people always respect them and keep pushing them to get better even if they are your competitors because in this world there are many waiting to pull you down but we also need a few people to push their competition up. You both will have an equal chance at the end but the one who gives it everything will win. There should never be envy or hate in you because that’s not how my son is. I have followed her words and even if people say our community is small and it still will take time to grow I am ready to wait. I have all the patience in this world because when I see that smile on my mom’s face while she is reading my fan posts , seeing fans click pictures with me or watching people queue up to get my autographs, it gives me happiness and a feeling which cannot be described with words. A child’s dream is always to make his parents proud and when you achieve that, it gives you a feeling of accomplishment. We then moved to the semi finals where we lost our second game against lod on Cbble. 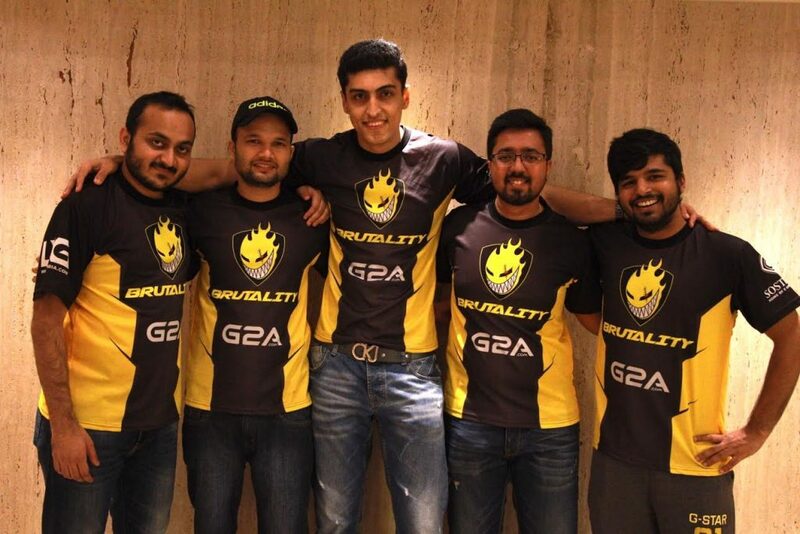 Though we won the series 2-1, I was more happy to see these youngsters take away a map from us. It proved that people have started putting in more efforts and have become more dedicated. It was also an alarm for us that from now on there won’t be any easy games which we also wanted. As soon as the match got over there were claps and cheering for both the teams. We then moved on to play the finals against Scorchers. Everyone had been waiting to watch this match. It was Inferno and we were Counter Terrorists, we started off well and were leading 7-1 but then it was Scorchers who made a comeback and took away the lead from us and made it 7-8 for them in the first half. We managed to win the pistol in the second half and were again leading 11-8. It should have been our map but their ct game was on point and Inferno being a CT favored map, they took away the game from us 16-14. It was Mirage next which was our pick and we were confident about it. We started off as terrorist but managed to win only 5 rounds on it. We also lost the ct pistol and the following force buy and the scores were 13-5 to Scorchers. It was an uphill task for us as there was no room for any mistakes at this point. We managed to string 3-4 rounds back to back and made the scores 13-9 but then again they took away 1 round from us and made the scores 14-9. It was a good comeback that made us win Mirage 16-14. The crowd was out of their minds and were enjoying each and every round. The final map was Cache which was randomized. We began on the T side but couldn’t do much as Scorchers looked well prepared on this one. It was their commendable ct setup that was not letting us into the sites and denying our every move. The first half ended 14-1 in their favor. We took a timeout and started relaxing our nerves. The second half started and we won the ct pistols which gave us some hope. We won the following few rounds but soon lost 1 in between which made the scores look like 4-15 to us. We tried our best but could only string 11 rounds in the comeback in front of their 16 which made them the winners. As soon as the match was over the crowd exploded and started clapping as if they had seen the best match of their life’s. Everyone shook hands and ended it on a good note. It was a wonderful experience and we really enjoyed playing in front of this massive Kolkata crowd. We will be back next year for sure till then do keep cheering for us. Always remember we are here because we have fans like you. Until next time, keep supporting and stay BRUTAL Kolkata!